The Biesse Group has received a prestigious new award in the ‘Large’ category, from SDA Bocconi, School of Management in partnership with J.P. Morgan Private Bank, PwC, Thomson Reuters (now Refinitiv) and Gruppo 24 Ore. 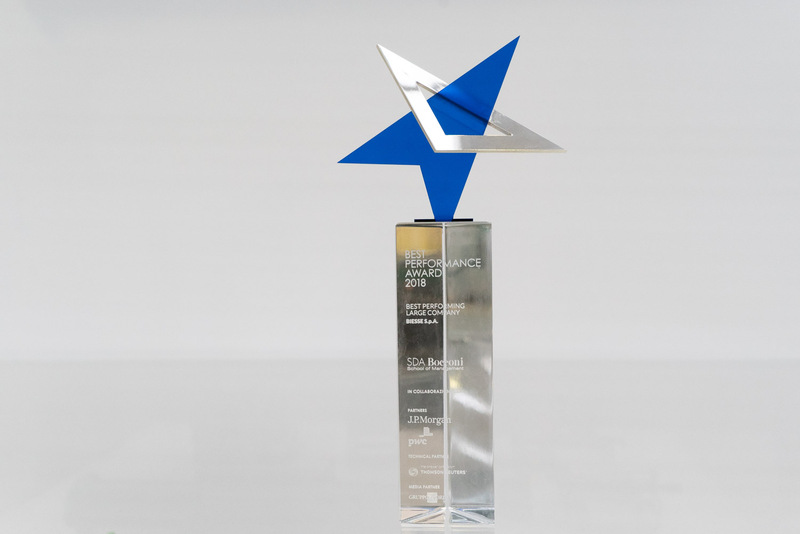 The award, unique in its kind, is in its second edition and was created to identify the best companies, selecting them according to three standards: economic-financial excellence, innovation & technology, and human, environmental and governance impact. The initial selection included about 500,000 Italian companies, which took part in a survey involving empirical analyses, interviews and focus groups. Each candidate company filled out a questionnaire on the three pillars, competing for an award that is unique in the Italian landscape. Unlike others, the Best Performance Award is exclusively scientific and is totally transparent. The companies are assessed with a mathematical level of rigour. Their final scores are drawn up completely anonymously using an algorithm. It is transparent because from the start companies can access the selection criteria, available on the award website, check them and offer themselves as a candidate. Biesse Group, chosen for the ‘large’ category, received an award for its ethical and innovative values, which, through its transparent relations with all stakeholders, supported by the sharing of knowledge and experience, also become economic values. “Receiving an award based on criteria of economic and financial excellence, innovation and technology, human impact, the environment and governance can only make us proud. This award confirms the value of our business plan and the investments we are continuing to make in support of the competitiveness and success of our customers and our main stakeholders,” said Stefano Porcellini, General Manager of Biesse Group.